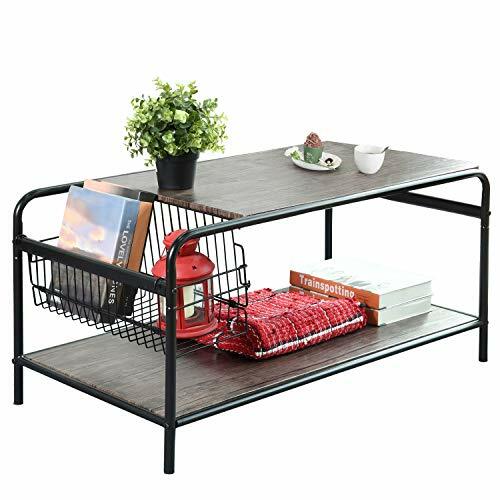 Thank you for visiting our Industrial Wooden Style Home Office Livingroom Coffee Table. 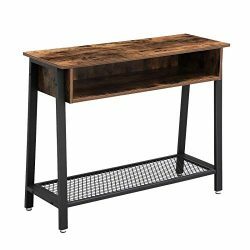 This is your perfect productivity companion. 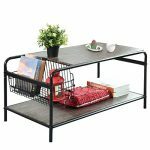 This Coffee Table combine a large surface, sturdy material side storage basket and generous shelves for a perfect all-in-one using experience. 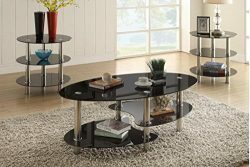 Coffee tables are the spirit of a cozy and lively living room. 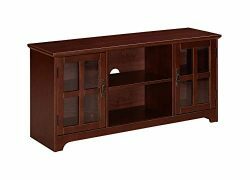 We know you love to watch that great show and eat your favourite snack at the same time. 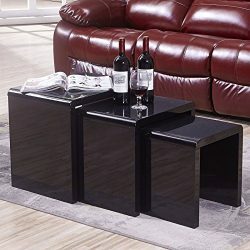 Or maybe you need a surface on which you can have your cocktails right at hand when you receive guests. 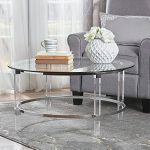 Every living room in America needs a good coffee table in as the centerpiece of the couch ensemble! 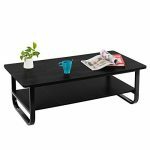 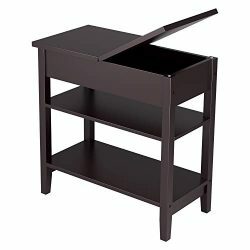 We designed this compact but sturdy cocktail table for you, its side storage cage will help you to keep your living room well organized and all that you need for a perfect evening will be close to you and ready to use. 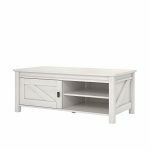 This piece of furniture matches every furnishing style given its simple minimalist vintage outlines and it will definitely give your living room a new trendy look. 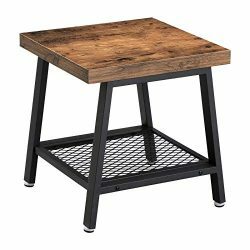 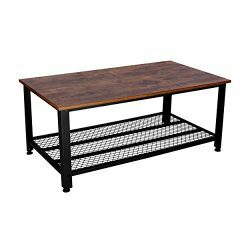 - rustic Industrial coffee table [[[RESISTANT TABLETOP&SPACE SAVING]]] Serve any of your favorite snacks or drinks on this cocktail table, you can easily wipe off all spills with a damp cloth in a matter of seconds! 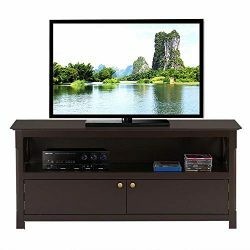 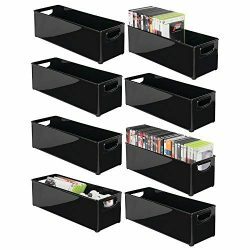 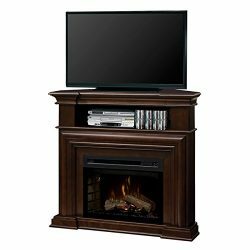 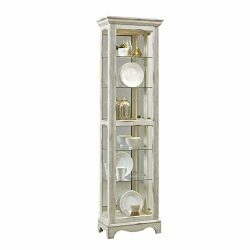 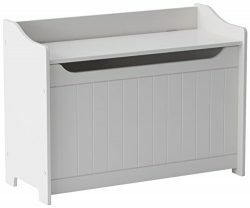 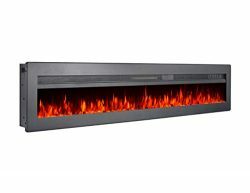 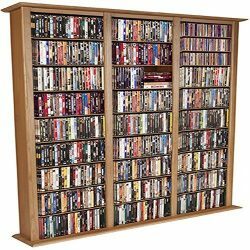 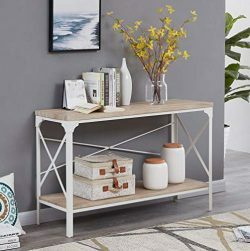 Spacious wooden metal frame (35”x19.6″x17.7″) with an extra wooden shelve, provides an additional usage and amplify the places where it can fit on. 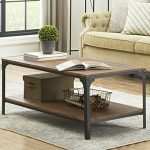 – rustic Industrial coffee table [[[ RUSTIC INDUSTRIAL DESIGN]]] The black rounded metal frame and the walnut paper veneer surface follow the latest minimalist industrial rustic trends. 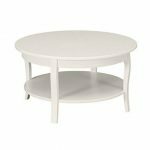 Its rounded lines make this piece of furniture easy to match with other furnishings. 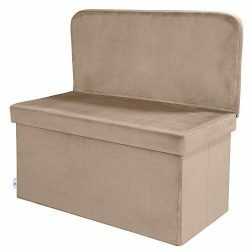 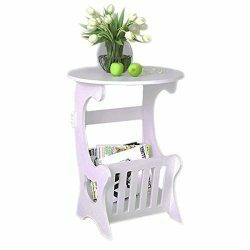 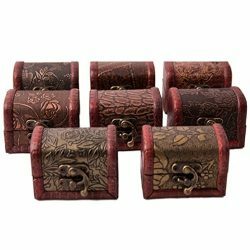 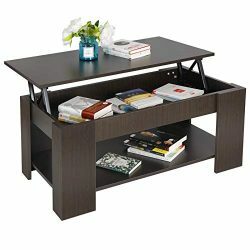 -rustic cocktail coffee table [[[ROBUST]]] Compact yet sturdy design. 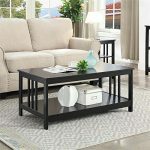 The solid mdf tabletop combined with the metal frame adds stability while keeping this coffee table light and with lots of space underneath to add some other storage units. 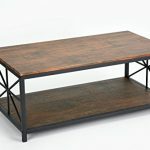 – rustic cocktail coffee table [[[EASY TO ASSEMBLE]]] You’ll receive all materials and tools you need to assemble your new table in a matter of minutes. 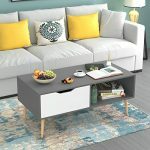 Open the box, assemble, and enjoy your new coffee table!